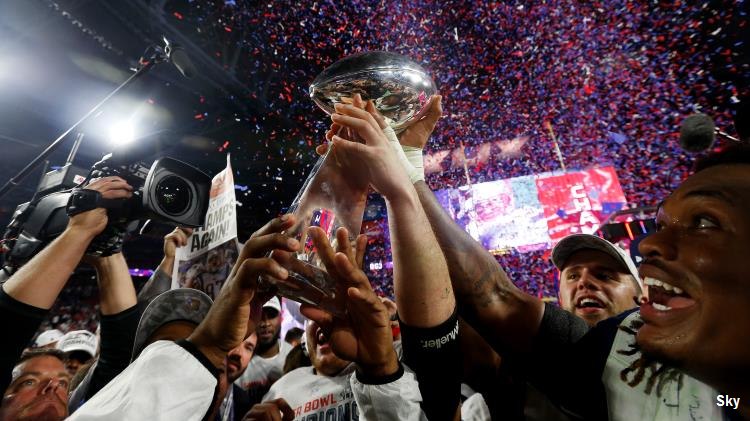 Sky Sports is taking over coverage of the NFL's Sunday Night Football from Channel 4. The broadcaster has acquired the rights for the next two years, bringing viewers an additional game a week and taking the schedule to more than 100 live matches a season. Vernon Kay, who had presented Channel 4's coverage of the NFL last season had confirmed earlier this summer that the broadcaster had decided not to continue its coverage of the sport, in the latest chapter in the NFL's mixed reception by UK broadcasters. Prior to Channel 4's acquisition of the rights, the BBC had shown NFL Sunday Night Football on its red button service. In addition to Sunday Night Football, Sky Sports will also show Monday Night Football, part of deal reached between the NFL and Sky last year. Alongside Thursday and Sunday games, the deal provides viewers with more matches during the regular season. Sky Sports will also be showing exclusively live pre-season coverage for the first time in seven years, as New Orleans Saints host the Houston Texans on Sunday 30 August. There will be all the drama and scores from around the NFL each Sunday of the regular season from RedZone, available via the red button and Sky Sports Xtra, which is available to customers through skysports.com and the Sky Sports iPad app. Sunday Night Football is America’s most watched programme and from week five of the season, the NFL’s flexible scheduling ensures that a key match-up with playoff implications is featured. In the final six weeks of the regular season Sunday Night Football will also be simulcast live on Sky 1. Commentary comes from NBC's award-winning pairing of Al Michaels and Cris Collinsworth. Viewers without a subscription to Sky's satellite service can access NFL coverage via NOW TV, via one of the Sky Sports passes (current prices: day pass £6.99, week £10.99, month £31.99). The action will also be available via Sky Sports on Virgin Media and TalkTalk. From the news above, I take it that there will be no more NFL coverage (including the Superbowl) on terrestrial TV for the next two years? I think there is some indication they'll try and flog the Wembley and Superbowl games, but little interest. When you look at the times of most the broadcasts it's little wonder they're not of much interest - the time zone does it no favours and channels are barely spending after 10pm nowadays, never mind after midnight.